344 pages | 205 B/W Illus. Compaction of powder constituents—both active ingredient and excipients—is examined to ensure consistent and reproducible disintegration and dispersion profiles. 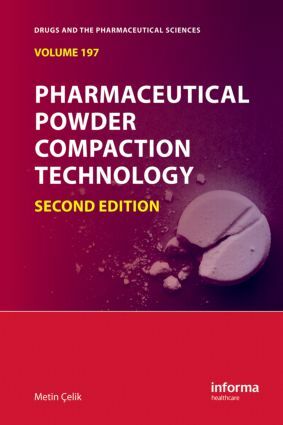 Revised to reflect modern pharmaceutical compacting techniques, this second edition of Pharmaceutical Powder Compaction Technology guides pharmaceutical engineers, formulation scientists, and product development and quality assurance personnel through the compaction formulation process and application.